Twenty20 cricket was seen as a gimmick when it emerged on the scene. Fourteen years after it was introduced at domestic level by the ECB it has grown into the sport’s most marketable commodity. The rapid rise was stimulated by India winning the inaugural World Cup in South Africa in September 2007. Remarkably, that tournament was staged on the back of a mere 38 international T20s – Australia won the first of them in Auckland in February 2005 where Ricky Ponting made a 55-ball innings of 98. India arrived at the 2007 World Cup having played just one T20 international – against the Proteas at Johannesburg in December 2006. When the Indians won the final at the same venue against arch rival Pakistan it set off a remarkable chain events that has brought us to where we are today. Within two months of India claiming the inaugural world championship, a rebel T20 league was up and running in the sub-continent. The competition, the Indian Cricket League, was bankrolled by Zee Entertainment Enterprises, a television network that was keen to develop sporting content. The ICL was contested by nine privately operated clubs – seven from India and one each in Pakistan and Bangladesh – as well as three ‘international’ teams from India, Pakistan and Bangladesh and a World XI. The latter included Australian players Ian Harvey, Michael Kasprowicz, Matthew Elliott and Jimmy Maher. The ICL was not sanctioned by either the Board of Control for Cricket in India (BCCI) or the ICC. As such, the Indian authorities did all they could to stymie the breakaway league including banning players from international selection and striking off all venues that hosted matches from being involved with any official BBCI fixtures. In April 2008, the BCCI launched the Indian Premier League (IPL), its own franchise-based T20 competition. By 2009, the ICL was dissolved amid controversy including numerous players being unpaid. 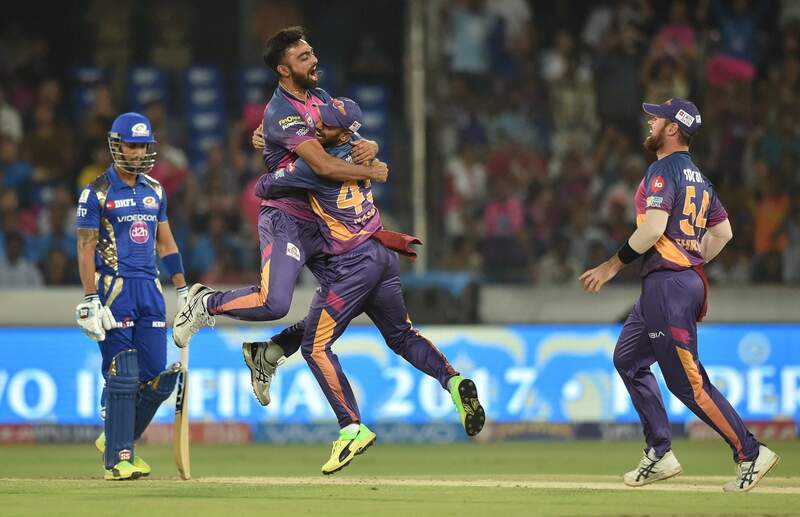 The IPL soon grew into a behemoth of the sport with business people and entertainment figures falling over each other in a bid to form their own franchises. Many thought the IPL would run out of steam after a barnstorming success in its nascent years. Reality has proven otherwise. Nowadays, the IPL, which runs during April-May, is one of the world’s most successful leagues. The current TV rights deal, signed in September 2007 by Star India (a subsidiary of 21st Century Fox) is for $3.2bn over ten years, an increase of 158 per cent on the previous deal. The brand value of the IPL is estimated to be worth US$5.3bn. Individual players are regularly signed for seven-figure sums for around seven weeks work. Mitchell Starc was recently snapped up by the Kolkata Night Riders for $1.8m. If he bowls his maximum four overs in each game his teams plays he will earn $5300 per delivery. A decade ago, such money would have been incomprehensible in the sport of cricket. The T20 explosion has effectively been World Series Cricket 2.0 with respect to the way it has changed the remuneration landscape for the game’s leading players. Steve Smith earns around $1.5m per annum from his CA contract. His seven-week IPL contract with the Hyderabad Sunrisers is worth $2.4m. Virat Kohli’s IPL contract with Royal Challengers Bangalore is $3.4m. In Australia, the BBL has proved to be enormous hit. This summer, 1.14m fans went through the turnstiles at an average of 26,531 per game. That figure is down on last season’s average of 30,114 some of which could be put down to games being taken to smaller capacity venues in regional centres – only 3,900 attended the Strikers Scorchers game in Alice Springs – and the lacklustre showing of the Stars (two wins from its ten games) which drew significantly smaller crowds to the MCG. There has been an explosion in female participation rates in the past three years since the introduction of the WBBL and its presence on our TV screens, an unforeseen event when the current rights deal was struck. CA’s financial health is predicated on summers that involve tours by England and India. It hordes cash at those times to make up for the two lean international summers in between in each four-year cycle. The BBL, on the other hand, is a regular earner for them. CA will receive a significant fillip to its coffers with respect to the soon to be signed TV broadcasting deals. Network Ten snapped up a bargain when it secured a five-year deal for $100m in 2013. It is envisaged that the next deal could produce between two and three times that amount while analysts predict that the rights for Tests and ODIs will remain around the current $80m per annum mark. The next issue for CA is where the BBL heads from here. This season saw an expansion to 43 matches, up from 35. Further growth is on the cards with TV networks presented with the likelihood of an additional 16 games next season and possibly even more subsequent to that. CA already has had approaches from Canberra, Geelong, Townsville and Fremantle which are all keen to have a share of the action. Presently, CA is wary of taking that path having witnessed similar growth moves in the A-League, NBL and Super Rugby creating crises within those codes. One of the big pluses of the BBL is the fact it is contained neatly during the summer school holiday period where access to the future generations is guaranteed. Venturing outside that, especially if the finals went deeper into the New Year would diminish its pulling power. There is ongoing debate over the relevance of international T20s. The first encounter of the Trans-Tasman tri-series between Australia and New Zealand at the SCG on Saturday drew 25,261. The five home games at the SCG for the Sydney Sixers in the BBL this season averaged 24,815 which does not say a lot for the interest in the national side at this level. By comparison, the Strikers averaged 40,480 at the Adelaide Oval; the Heat 32,980 at the Gabba; the Stars 31,628 at the MCG; and the Renegades 32,564 at Etihad Stadium. In the recently released Future Tours Program for 2019-2023, the ICC increased the number of T20 internationals while ODIs have been cut back and Tests have also been reduced. Like many, I think T20s should be limited to domestic competitions with a World Cup to be played every few years. There appears to be little need for international matches given the increasing saturation of T20 games in the various leagues now dotted around the globe. The most abbreviated form of the game – although recently T10 matches have raised their head – has brought tens of thousands of new fans to the sport and, in the process, bolstered the coffers of several ailing cricket boards. The last thing the sport needs is to kill the golden goose. Eradicating internationals, outside World Cups, would be a good starting point.